Dr. John Kennedy graduated the medical school from University of Texas Southwestern and completed his residency program at University of Alabama Medical Center. 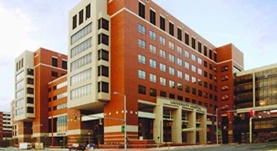 A fellowship in pulmonary disease and critical care medicine at University of Alabama Medical Center followed soon after that. Dr. Kennedy is specialized in Pulmonology and Critical Care Medicine and board certified in internal medicine. 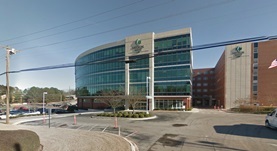 He has been in practice for more than 20 years and is affiliated with University of Alabama Hospital and UAB Medical West. During his career, he has also published three writings of medical interest in partnership with other doctors. Dr. John Kennedy has contributed to 3 publications. Practical Management Guide for Clinicians Who Treat Patients with Amiodarone. Epstein, A. E.,Olshansky, B.,Naccarelli, G. V.,Kennedy, J. I.,Murphy, E. J.,Goldschlager, N.; Am. J. Med.. 2015 Oct 27. Formaldehyde exposure and asthma in children: a systematic review. McGwin, G., Lienert, J., Kennedy, J.I. ; Environ Health Perspect. 2010 Mar. The anticipated physician shortage: meeting the nation's need for physician services. Kane, G.C., Grever, M.R., Kennedy, J.I., Kuzma, M.A., Saltzman, A.R., Wiernik, P.H., Baptista, N.V.; Am J Med. 2009-12-01.